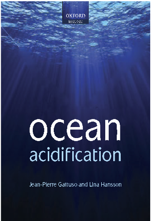 The severity of carbonate chemistry changes from ocean acidification is predicted to increase greatly in the coming decades, with serious consequences for marine species-­ especially those reliant on calcium carbonate for structure and function (Fabry et al. 2008). The Northern California Current Ecosystem off the coast of US West Coast experiences seasonal variations in upwelling and downwelling patterns creating natural episodes of hypoxia and calcite/aragonite undersaturation, exacerbating global trends of increasing ocean acidification and hypoxia (OAH) (Chan et al. 2008) (Gruber et al. 2012). The goal of these experiments was to identify thresholds of tolerance and attempt to quantify a point at which variance in responses to stress collapses. This study focuses on two species: Cancer magister (Dungeness crab) and Haliotis rufescens (red abalone). These species were selected for this study based on their economic and ecological value, as well as their taxonomic differences. 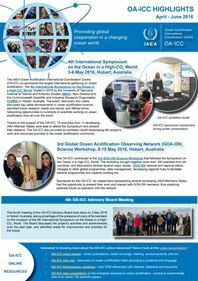 Respirometry was used as a proxy for metabolic activity at four different scenarios mimicking preindustrial, upwelling, contemporary upwelling, and distant future conditions by manipulating dissolved oxygen and inorganic carbon (DIC) concentrations. Both species showed a decrease in mean respiration rate as OAH stressors increase, including an effect in contemporary upwelling conditions. These results suggest that current exposure to ocean acidification (OA) and hypoxia do not confer resilience to these stressors for either taxa. In teasing apart the effects of OAH as multiple stressors, it was found that Dungeness crab response was more strongly driven by concentration of dissolved oxygen, while red abalone data suggested a strong interactive effect between OA and hypoxia. Not only did these two different taxa exhibit different responses to a multiple stressors, but the fact that the Dungeness crab were secondarily impacted by acidification could suggest that current management concerns may need to be focus more strongly on deoxygenation. Gossner H. M., 2018. Quantifying sensitivity and adaptive capacity of shellfish in the northern California current ecosystem to increasing prevalence of ocean acidification and hypoxia. MSc thesis, Oregon State University, 104 p. Thesis.